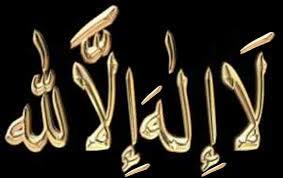 “In the name of Allah, the Most Gracious, the Most Merciful. Indeed, We sent the Qur’an down during the Night of Decree. And what can make you know what the Night of Decree is? The angels and the Spirit descend therein by permission of their Lord for every matter. 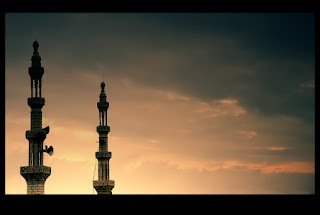 Peace it is until the emergence of dawn.” (Al-Qadr 97: 1-6). Like you all know, we have already entered the third part of the month of Ramadan, whereby in one of these nights there is a extremely special night which is worth more than a thousand months of blessings which we usually receive through our Ibaadat (all acts of worship) in normal times. Like mentioned in a Hadith, our Noble Prophet Hazrat Muhammad (pbuh) has said: “This is a month, the first part of which brings Allah’s Mercy, the middle of which brings Allah’s forgiveness, and the last part of which brings emancipation from the hellfire.” (Bukhari). 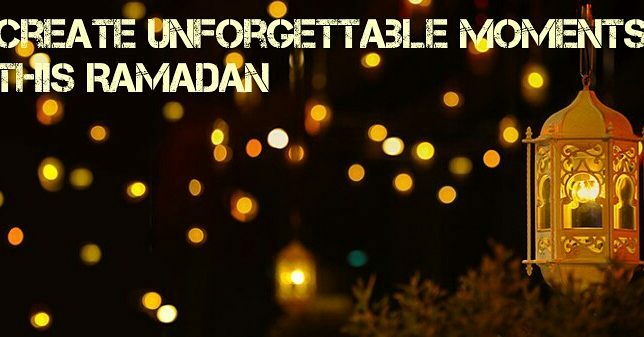 In another Hadith, Hazrat Anas bin Malik (ra) narrated that the Messenger of Allah stated about the month of Ramadan: “This month (of Ramadan) has begun and therein is a night better than one thousand months. So, any one deprived of its blessings is actually deprived of all goodness. Indeed, He is truly deprived who is kept away from its good.” (Ibn Majah, Mishkat). 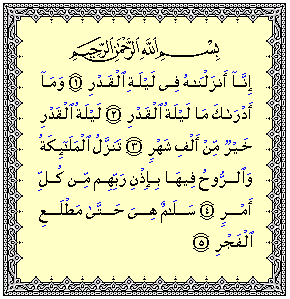 In the light of these verses of the Quranic Chapter Al-Qadr (the Destiny/Decree) and the Hadiths which I have put before you today, it shall be good if I explain to you once again how these verses were revealed. Years come and go but the words and teachings of Allah and those of His Messenger (Rasul) shall ever remain flawless and whole, and it is my duty to repeat these teachings to you for all this forms part of our history as Muslims, such a history which needs to remain alive till the Day of Judgement, such a history which shall encourage all Muslims to give their time, means and lend their helping hands to enable Islam to shine in the world. 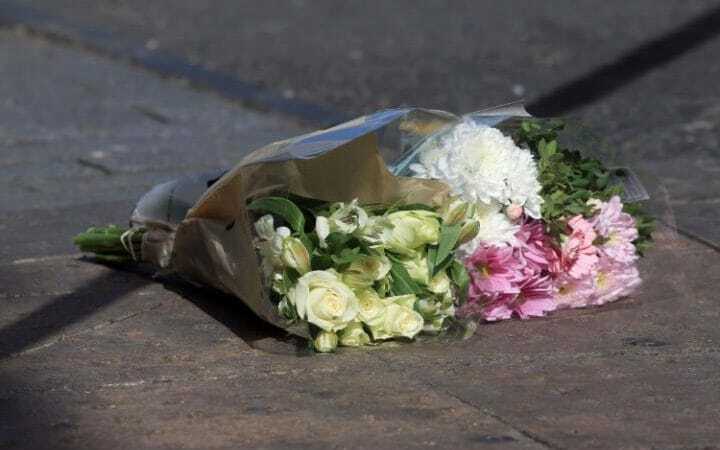 On Monday, 22 May 2017, the city of Manchester (United Kingdom) witnessed a deadly terror attack, claiming the lives of 22 people, including many children and young people; moments after US singer Miss Ariana Grande finished performing, at around 10:30 pm. 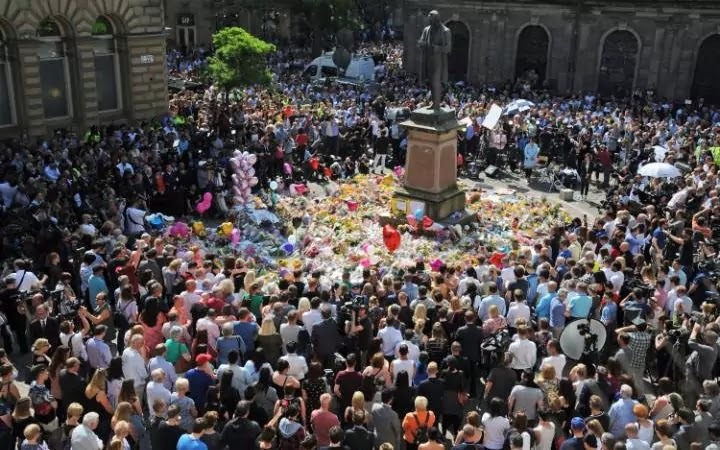 Investigators have identified the suicide bomber as Salman Abedi, a 22 year-old youth, Manchester-born British national of Libyan-Arab-Muslim-refugee-descent. 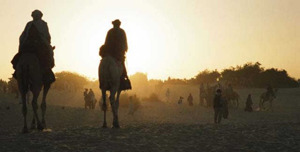 Global political fault-lines, especially its searing manifestations in the Arab-Islamic world in recent decades, have created the cult of violence called "Jihadism". Accentuated by revolting political realities such as the prolonged Zionist military occupation of Muslim lands; the strategic and economic subjugation of the Persian Gulf nations by the US-led western powers; the suppression of political and personal liberty in the Arab world by the hedonistic oligarchs working in alliance with their western masters; internecine conflicts forcing widespread displacement of people, rendering millions into refugees and stateless persons- the simmering political conditions in many parts of the world are conducive for the flourishing of extremist ideologies and the radicalization of youth. Likewise, the apparently remote and self-contained western world's 'racist democracies' also face humongous challenges of multicultural integration: their policies are currently designed to discriminate, oppress and ghettoize the non-European peoples among them, especially of the North-African Arab descent. 'The wrenching process of remaking life and society in all their aspects (social, economic, existential) frequently collapses in violence'. Hence, the completely-alienated youths in many of these countries are increasingly drawn to entities such as the "Islamic State" in their quest for seeking 'resistance' and 'vengeance' against the perceived, oppressor "infidels" through all means possible, including 'martyrdom' (Shahada) operations/suicidal attacks. While devout Muslims find the horrific terror attacks completely at odds with the teachings of their religion, the 'material' (and as we shall see below, even the religious and spiritual) explanation for these attacks cannot avoid the role of extremist preachers who 'condition' the mindset of would-be assassins/potential suicide bombers by offering them the deadly cocktail of 'radical' theology as political praxis. Mindless violence needs to be condemned, more so in an age of widening rift in inter-community relations. 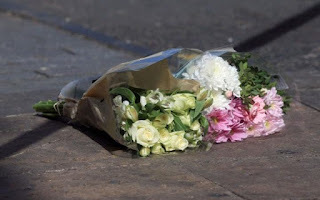 This is regardless of who perpetrated it, or in the name of which group identity- races, tribes, religions, languages, nations, peoples- it was executed. 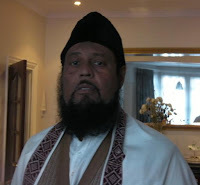 In a message issued on 23 May 2017, the Muhyi-ud-Din Al Khalifatullah of this era, Hazrat Munir Ahmad Azim Saheb (atba) of Mauritius calls our attention to the profoundly negative implications and potentially enormous consequences of such extreme brutalities, being perpetrated in the name of the religion and community of the Muslims, for everyone: the victims; the perpetrators; for wider inter-community relations and social peace; public perceptions on Islam and the Muslims in everyday life settings; and even on international relations. Hazrat Khalifatullah (atba) addresses all humanity, especially Muslims, on the complex challenges that we face today- in an era of deep sectarian divisions among the Muslims, the hardening of denominational identities leads to much injustice and strife within. The bloodshed and killings are regrettably becoming routinized in many societies- Syria, Iraq, Palestine, Egypt, Sudan, Yemen, Libya, Afghanistan, Pakistan. 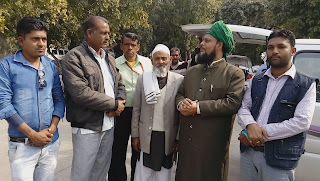 Among the innumerable sects within the Muslims, interpretational differences over even basic spiritual doctrines abound and the very definition of being 'Muslim' is under intense disputation, with profound implications for the basic human rights and political entitlements of 'legally excluded' Muslim sects and denominational groups, such as the Ahmadis in Pakistan and elsewhere. To establish peace and reconciliation across our multiple divides in society, Muslims need to be role models for others. In reclaiming the heart of our faith and our own spiritual identity as devout Muslims in this difficult era, Hazrat Saheb (atba) exhorts us to be people who stand in awe of God, and who display the spiritual humility of non-judgmental affection and residual goodwill for all of His creatures-fellow Muslims (of different sects) and the non-Muslims alike. First of all, in my own name as the Khalifatullah and reformer of this era - for humanity as a whole and particularly for all Muslims - and on behalf of the Jamaat Ul Sahih Al Islam, I present our sincere condolences and sympathy for what transpired - a really painful event- in Manchester, United Kingdom. It is a very deplorable situation that those who take themselves as great defenders of Islam are in fact doing much harm to the perfect religion which Islam is. They have taken themselves as great defenders of Islam but they have stooped very low in their acts. They have harmed the very religion that Allah has perfected and named: ISLAM. Islam means a complete submission to the will of Allah, and it means peace and submission. Peace should come first, then submission (to the will of Allah). Islam has never taught/ preached acts of barbarism such as the atrocious acts they have perpetrated (in Manchester, UK). As the Khalifatullah (Caliph of Allah) and the Mujaddid (Reformer) of this era, for me personally, and for my Jamaat (Community) also, and also I am sure for the other Muslims from the other Jamaats, we sincerely and strongly condemn these acts (of terrorism). 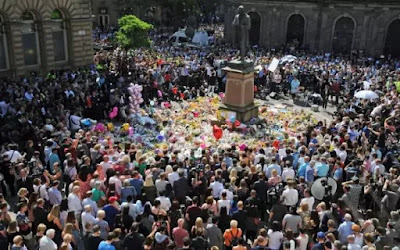 What happened (in Manchester, UK) is really heartbreaking. Ramadan has come once again! The one who has the opportunity to witness its arrival, has most certainly received one of the greatest favours from Allah (swt). Being present in this world during the month of Ramadan is meaningless as long as the servant does not know how to enjoy its immense benefits, which no one should ignore. 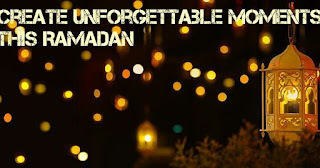 Ramadan as the fourth pillar of Islam is an act of worship of great importance and charged with many benefits. 1) Ramadan helps the servants to strengthen the brotherhood between them. Today we live in a society where hatred, jealousy, enmity etc. have taken place in the hearts of many Muslims. Sectarianism, division, dissension, etc. have demolished the unity commanded by the Creator. “Truly, this community of yours is a unique community, and I am your Lord. So worship Me. And (yet) they were divided into sects. But all of them will return to Us.” (Al-Anbiya, 21: 93-94). Alhamdulillah, today is the first Friday of the month of Ramadan and indeed this is a great favour which Allah (swt) has bestowed upon us, Muslims. Fortunate are those who are living this blessed month to the fullest. 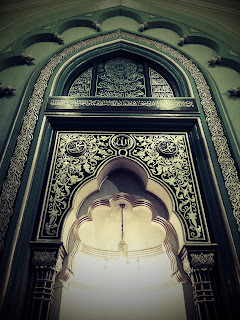 And fortunate is he who has been able to become closer to Allah in the course of this blessed month and obtain the pleasure and time to purify his soul from all spiritual impurities and to make "a servicing" (a complete clean-up and repair) of his whole body whereby he takes not only a complete spiritual bath, but also a physical bath, keeping his body clean, keeping a good hygiene. Last week in my Friday Sermon, I had to stop on the second precaution which we (Muslims) have to take to preserve our fast, but due to lack of time and the fact that our members had to go back to work, so it would have been too lengthily seeing the long content of the Friday Sermon. 3) We need to take lots of precaution so as not to listen to undesirable/ vain/ illicit (Makruh) things. It is also forbidden to listen to words which we do not have the right to pronounce. For example, between strangers, man and woman, there should not be any Makruh word pronounced, and there should be the observation of the Pardah (Islamic veiling/ segregation). The Messenger of Allah has said that those kinds of talks/ words are Makruh, and the same goes for Ghibah (backbiting). The backbiter and the one who listens to him/ her, both of them are considered as equal partners in sins. 4) All members of one's body should remain far away from sins and all that which is forbidden. Neither the hands should touch that which is Haram (illicit), nor the feet should march towards that which is illicit. Special precaution should be taken, especially at Iftar (breaking of the fast) time not to consume anything which may be of doubtful source. When someone fasts and breaks his fast with illicit food, he is like a sick person who takes medicines to get back his health, but at the same time he consumes poison along with those medicines which thereafter destroys him. 5) After observing the fast, it is not advisable for us to fill our stomach completely at Iftar time, even with Halal (licit) food because the aim of fasting shall be lost. 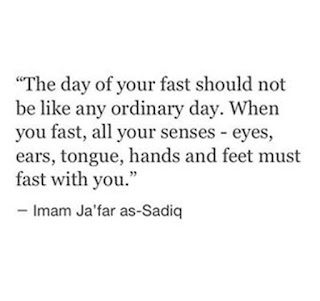 The aim of keeping fasts is to reduce our physical desires and to reinforce our Iman (faith) and spiritual capabilities. For eleven months we had all the freedom to eat and drink whatever Halal food we liked at any time we wanted, but at least during Ramadan we can reduce our food consumption to the (strict) minimum. For some people, we observe that Ramadan becomes an opportunity for them to increase their appetite (and food intake). Moreover, there are a variety of foods which are placed before us and which we are not used to consume during the other months (and which tempt us to overindulge in food consumption). This way of consuming food during this (blessed) month is completely against the very spirit of Ramadan and against the aim of fasting. Besides taking conscience of pangs of hunger, fasting gives us the time to take conscience of difficult conditions and sufferings of poor people and this enables us to have sympathy for them. Our noble prophet Hazrat Muhammad (pbuh) said that the best way of eating of man is that he fills his stomach in the following proportion: One third for food, one third for water (liquids) and one third for air. 6) We should always be worried about whether our fasts have been accepted by Allah. The same should be for all our good deeds and acts of worship (Ibaadat). We can never know whether we have missed an important aspect of our deed/s or we ignored it/ them completely. Therefore, we should take precaution lest we commit some wrong in our deeds. A Muslim should always fear lest Almighty Allah rejects his deeds. This is a consequence of wrong Niyyah (intention). There are a lot of examples on the subject in the Hadiths. Therefore, a faster should always watch over his intention and at the same time fear lest his intention changes. 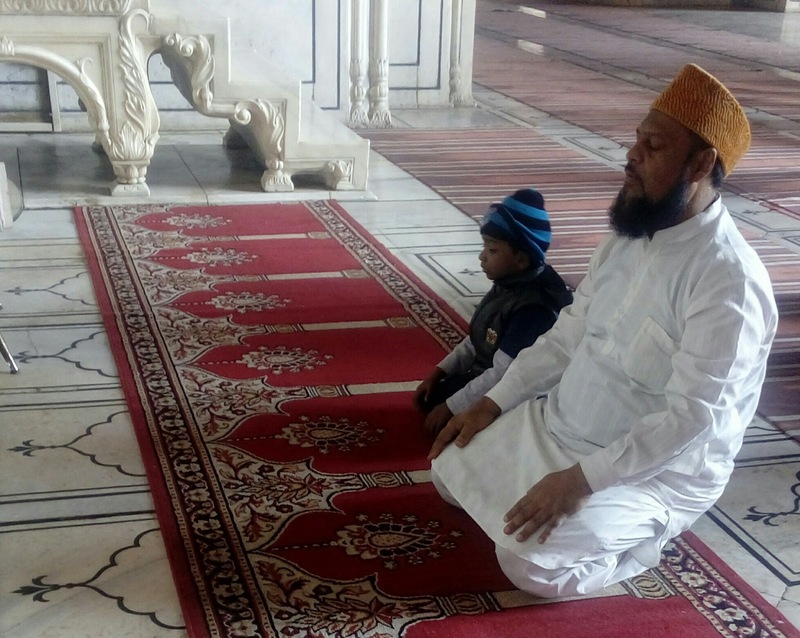 He must continue to pray to Allah so that his fasts become a source of pleasure for Allah. "Laa Ilaaha Ilallahu, Astaghfirullah, Allahumma inni as’alukal jannah wa awzubika minan Naar." O Allah, put a distance between us and such sins which shall cause us harm in this world and the hereafter. Ameen. Once a Sahabi (i.e. companion) asked the Messenger of Allah (pbuh) about Ghibah (backbiting). The Messenger of Allah (pbuh) said: "It is saying something about your brother that he dislikes." The worst form of backbiting is slandering one's Muslim brother with a false accusation. 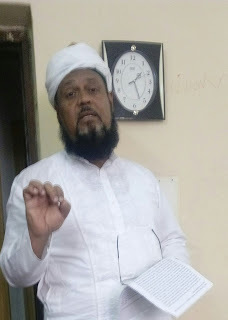 Moreover, we need to know that in the month of Ramadan, we should have sympathy for poor people - and this should be a training for the eleven months to come - like preached by Hazrat Muhammad (pbuh) in the various Hadiths. We have been taught that Ramadan is a month of sharing and brotherhood, especially with the poor and those who are in great difficulties. The spirit of sharing is such a quality which we should live in practice. Even if we are not as generous towards others as we are to ourselves, at least during the Ramadan, we should develop that spirit of sharing. If we have ten snacks/ cakes for Iftar, then we should at least share 3-4 of those with the poor. Insha-Allah, may Almighty Allah help each one of us in this blessed month and we take care not to lose these divine favours. Insha-Allah. O Allah guide us all on the right path. Ameen. 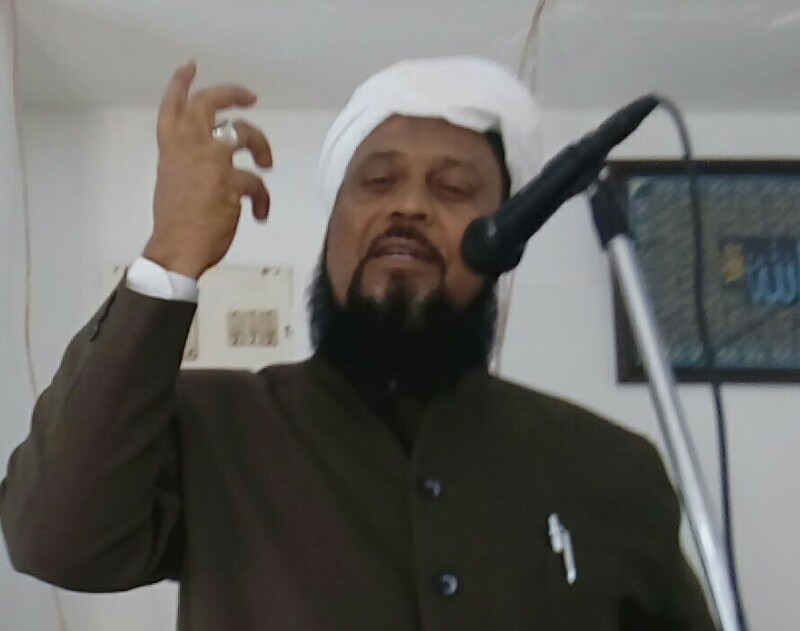 ---- Friday Sermon of 02 June 2017(07 Ramadan 1438 AH) delivered by Khalifatullah Hadhrat Munir Ahmad Azim Saheb (atba) of Mauritius. “On the last day of Shabaan, the Noble Prophet (pbuh) delivered a sermon; he said: ‘O people there comes over you now a great month, a most blessed month in which lies a night more greater in virtue than a thousand months. It is a month in which Allah has made Fasting (Roza/ Sawm) compulsory by day, and has made Sunnah the Nafil night prayers (e.g. Tahajjud prayers as mentioned by Allah in the Quran, and the Tarawee which represents an excellent innovation which Hazrat Umar (ra) implemented for he wanted to reunite all Muslims as one congregation following one Imam and not to be divided – and besides, this is the true spirit of unity which must remain alive whereby all Muslims must come together as one, under (the leadership of) one Imam, especially the Imam whom Allah has raised for you, an Imam-e-Inquilaab, a Khalifatullah, for there should be no division and different sects, but on the contrary, it should be like in the true intention of Hazrat Umar (ra) to reunite all people who were scattered and praying alone, to put them together in one congregation, under one Imam). Whosoever intends drawing near to Allah by performing any virtuous deed, for such a person shall be the reward like the one who had performed a Fardh (Obligatory act) in any other time. And whoever performs a Fardh, shall be blessed with the reward of seventy Faraa-idh (Obligatory acts) in any other time. “And whoever gave a person who fasted water to drink, Allah shall grant that giver to drink from my fountain, such a drink where after that a person shall never again feel thirsty until he enters Paradise.” (Baihaqi, Ibn Hibban). A faster should take 6 precautions when he observes his fast. 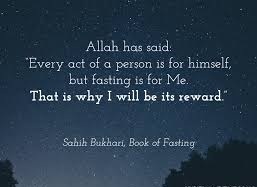 Abu Ubaidah (ra) reports: “I have heard the Messenger of Allah (pbuh) say: “Fasting is a shield for the one who does not violate it.” (Ibn Majah, Nisaï, Hakim). 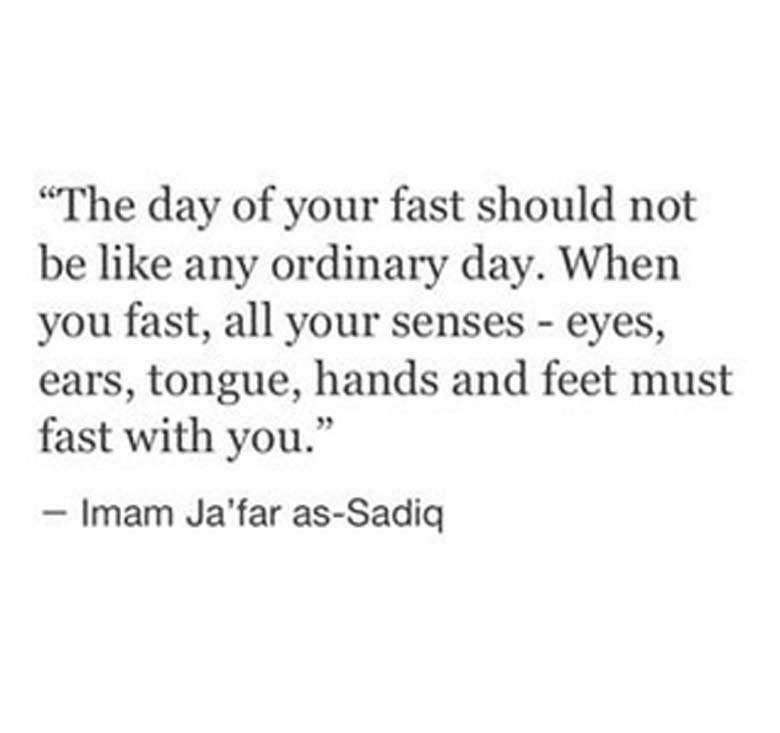 In the same way that a shield protects someone, fasting also protects man (human being) from his sworn enemy, i.e. Satan. In the other Hadiths, we learn that fasting protects from the punishment of Almighty Allah in the hereafter and it is also a protection against hell-fire. Therefore, when you analyse these words of the Holy Prophet (pbuh), he (pbuh) said that lying, backbiting (i.e. saying bad words on others in their back), fighting, or vain disputes annul the fast just like food and drink breaks the fast. Thus, when this happens, that person loses all the blessings and rewards of fasting. All the sacrifices that he made, by waking up early in the morning and following the prescriptions of Allah and His Messenger (pbuh), at the end of the day, because of indulging in forbidden things, he loses all. This is really a grievous sin, especially in that blessed month (i.e. the month of Ramadan). 2. 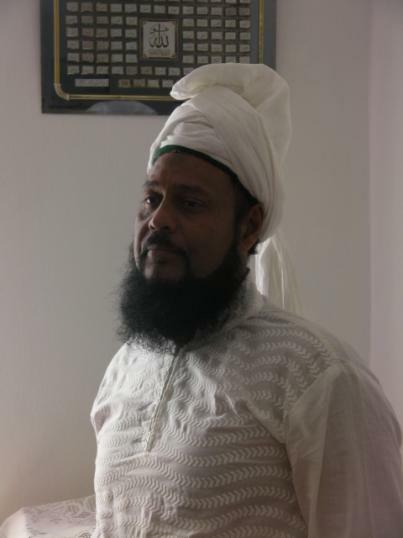 A person must protect his tongue from all forbidden things such as lying, vain talks, backbiting, disputes, foul words, etc. In the book of Hadiths of Bukhari we read that fasting is a shield for a faster. That is why, those who observe the fast should avoid all vain talks, mockeries, disputes etc. If someone readies himself to fight (dispute) with us, we should simply say: “I am fasting”. In other words, we should not start a dispute on our own and if the other one seeks to start a dispute, we should not fall into this trap. It is clear from that Hadith that backbiting makes fasting unbearable. That is why those two women nearly died. In fact, all evil deeds render fasting difficult (to accomplish/ to sustain). Experience show that fasting is not difficult for those servants (of Allah) who are sincere and devoted (i.e. the Muttaqiin – those who are righteous, who have the fear of Allah in their hearts). For them, fasting is never an ordeal whereas for the sinful ones, fasting is ever an ordeal. This sermon does not end here, but I need to stop here for today due to lack of time and the members have to return back to work. I pray that Allah gives me the opportunity to continue on the same subject of my sermon next week (next Friday), Insha-Allah. If I continue, it shall be too long, especially when the six precautions while fasting need to be explained, and I have mentioned just two of them. Insha-Allah, I shall continue on the same subject next Friday. 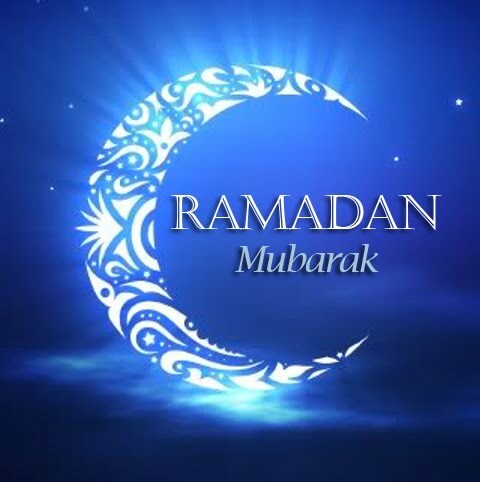 I wish all of you – all my disciples worldwide and all Muslims – Ramadan Mubarak. May Allah make you blessed (Mubarak) in the blessed month which is awaiting us with open arms. In return we should also open wide our arms and hug this extraordinary and special guest sent by Allah for us. It is truly a treasure which Allah has bestowed upon us, and it is now for us to use this treasure in the best way which exists, and verily the best way is to follow the Sunnah (practice) of our noble prophet Hazrat Muhammad (pbuh). Insha-Allah, Ameen. ---Extracts from the Friday Sermon of 26 May 2017 (29 Shabaan 1438 AH) delivered by Khalifatullah Hadhrat Munir Ahmad Azim Saheb (atba) of Mauritius.